Hazard free, pictogram free...worry free! Your Pac® brand pouch solution! 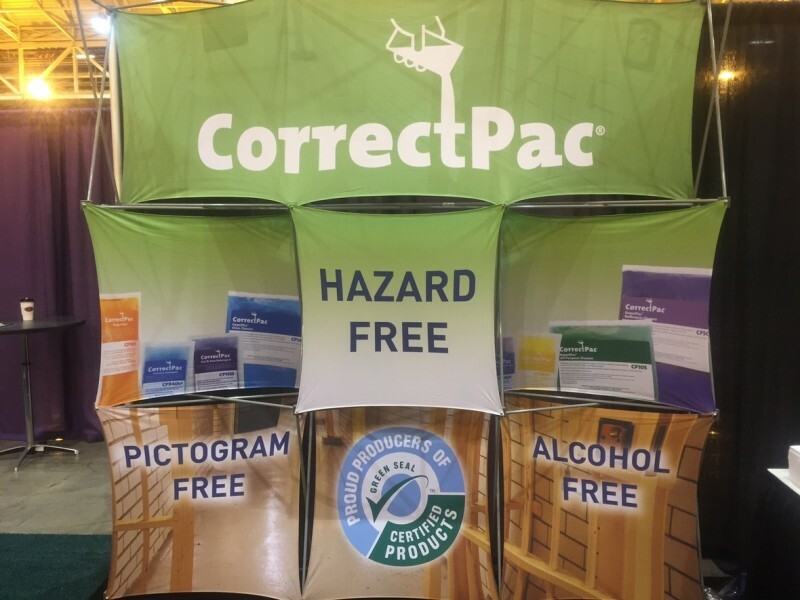 CorrectPac® was proud to exhibit in the Green Aisle at ACA in New Orleans! In addition to unveiling a new booth for the event, the new and improved line of CorrectPac® detergents were on full display. Offering exciting features like no OSHA Hazards, zero VOCs, Green Seal™ certification and the new single Pac® brand pouch delivery system, CorrectPac® detergents are the perfect solution for any facilities' sanitation needs. Standards Committee updates Appendix D.
In Indianapolis, the ACA approved proposed changes to Appendix D - Guidelines for the Control and Use of Flammable, Toxic, and Caustic Substances. These revisions provide guidance for the use of the new GHS-based OSHA Hazard Communication Standard to control flammables, toxics and caustics. ▪ Identification of implementation deadlines. The full text of the changes may be found on ACA's website. As a reminder, the next OSHA deadline is for employers to complete full implementation of the OSHA Hazard Communication Standard by June 1, 2016. Winter weather presents additional challenges to keep floors and carpets looking their best. Ice-melt residue tracked inside can leave floor surfaces with a hazy, dingy appearance. When ice-melting compounds start chemically interacting with your floors, they begin to dull. It may not seem like a problem at first, but the floor finish will erode over time, and the floors will need to be resurfaced much sooner than planned. Use CP404 to protect your floors from winter's worst. That's where CorrectPac® Neutralizer/Floor Conditioner comes in. CorrectPac® Neutralizer/Floor Conditioner (CP404) is designed for use on floors and carpets, making it the ideal solution for neutralizing the adverse effects of ice-melting compounds on your indoor environment. Let CorrecPac® Neutralizer/Floor Conditioner help counteract winter's worst. Salt residue left on floors can lead to the need to strip and refinish floors more often. Save your floors this winter by using CorrectPac® Neutralizer/Floor Conditioner. In addition to containing no volatile organic compounds (VOC) and no hazards as defined by the OSHA Hazard Communication Standard, 29 CFR 1910.1200, CorrectPac® Neutralizer/Floor Conditioner is certified by the industry-leading independent third-party product certifier, Green Seal™­. 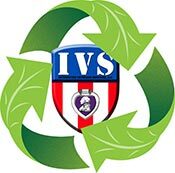 You can rest assured that your purchase has been rigorously tested to ensure effective performance and environmental responsibility. Green Seal™ maintains the most rigorous voluntary product certification standards in the cleaning industry, and evaluates every aspect of a product's life cycle from manufacture to disposal. Visit the Green Seal™ website to learn more.